Best in the World? Gourmand International Wine Blog Award! As I mentioned back in January, everyone at The Wine Economist was delighted and just a little surprised to learn that we were short-listed for a major award. 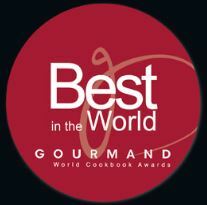 The Gourmand International “Best in the World” awards are given annually to recognize excellence in food and drinks writing. 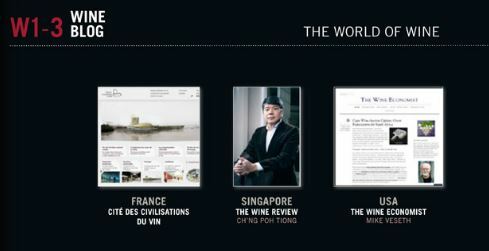 My 2011 book Wine Wars was honored by Gourmand International in one of the specialized categories when it was published. This year there is an award for best blog. Here are the finalists. The results were announced on June 8 in Yantai, China. I wanted to be there along with the other nominees in all the food and wine categories, but I was already committed to being in Conegliano, Italy giving a pair of talks at the famous wine school. The Wine Economist? Yes! 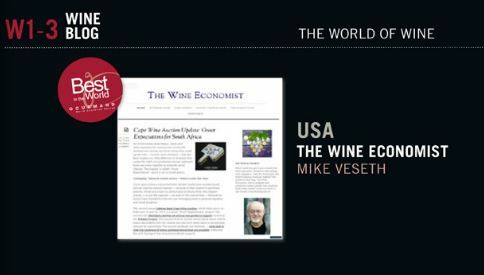 We at the Wine Economist are surprised and deeply honored by this recognition. Many thanks to everyone at Gourmand International for this award and personal thanks to Edouard Countreau for his support and encouragement. Congratulations Mike, No surprise and well deserved! Congratulations, Mike, on this well-deserved award! Congratulations Mike, well deserved. Your open, easy to read and informative style and content stand out in our business! Congratulations Mike! Summer is in full swing here. A couple of weeks ago I returned from getting Marina set up on her bike ride from NewOrleans to Itasca, MN. She is a couple days north of Nashville now. Carlo is back in MN living in the 8 to 5 world for his summer internship. It is quite the shock for him. I think he is already looking to return to school.